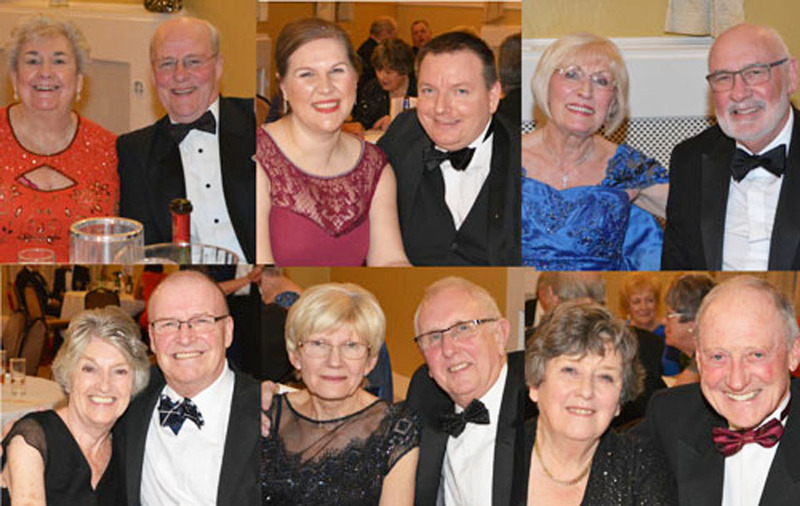 The premier event in the Warrington Group’s social calendar took place at Warrington Masonic Hall where members from the group, their partners and friends thoroughly enjoyed themselves at the annual Group Ball. Andy Barton and his wife Kathy. Charles Carr acting DC, asked the assembly to stand and receive the chairman Andy Barton and his wife Kathy, the group vice chairman Chris Gleave and his wife Hannah and the group secretary John McIntyre and his wife Pat. On his arrival into the hall, Andy took the opportunity to welcome everyone. He particularly welcomed all of the ladies, saying: “How beautiful they all looked.” This brought the usual cheers from all of the gentlemen and brethren present. 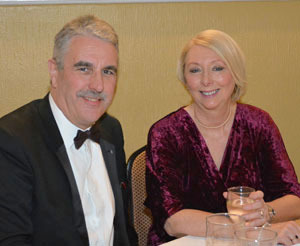 He then welcomed Barry Jameson the Second Provincial Grand Principal and his wife Pam. Prior to the meal grace was offered by Lee Marsh, acting chaplain. An excellent five course meal was served by the hall staff. Pictured from left to right, are: Hannah and Chris Gleave, Jim Cartledge (treasurer), Pat and John McIntyre. The menu consisted of vegetable soup, prawn vol-au-vents, lamb noisettes with red wine jus, duchesse potatoes and seasonal vegetables, trio of mini chocolate desserts and a selection of cheese and biscuits followed by tea or coffee. Lee Marsh then returned thanks. 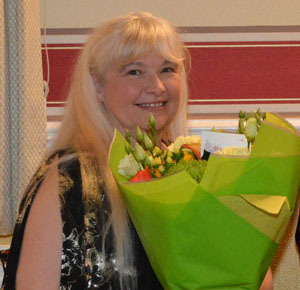 Caroline Crook with her bouquet of flowers. After a most enjoyable meal, Andy presented a bouquet of flowers to Caroline Crook in appreciation of Caroline’s and Rob’s hard work in organising the event. Andy also thanked the Masonic hall catering staff for providing and serving such a delicious meal. Charles Carr DC, then announced the evening was under the direction of the band Sight ‘N’ Sound. The entertainers played a comprehensive mixture of music to suit most people’s taste and soon had all singing and dancing along. It wasn’t long before the guests were dancing the night away. 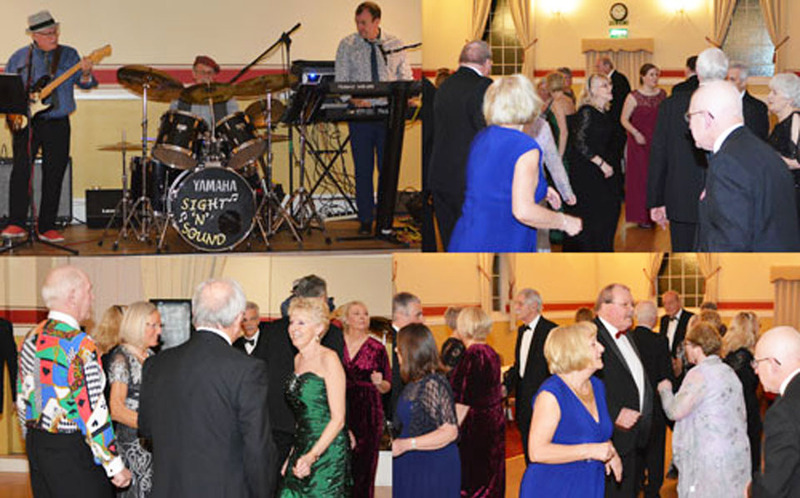 At the end of the evening Andy thanked Charles for acting as DC, Lee Marsh for acting as chaplain, the hall staff for the food and their service, Sight ‘N’ Sound for their entertainment and the guests for their support in making the evening a such a big success. He then wished everyone a safe journey home. Happy diners enjoying their meal. Dancing the night away to Sight ‘N’ Sound.